Why do I eat raw food? 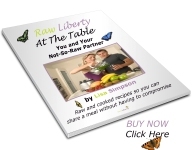 Of course there probably as many variations of the ‘raw diet’ as there are of the cooked diet. For me, raw means vegan, with a large amount of greens and fresh fruit. But some people consume higher amounts of raw fats e.g. nuts, and even raw meat and fish! Before I go into details about Why Raw? think about Christmas dinner – a starter maybe, turkey with all the trimmings, roast potatoes etc, Christmas pudding with brandy sauce, coffee and mince pies, and the inevitable tin of chocolates that gets passed round throughout the day… get the picture? and what then happens – you feel stuffed, a little sick maybe and fall asleep on the sofa! What is your body telling you???? Screaming out for you to stop, it has to shut down to digest the onslaught of rich food and you’re left unable to do anything much for the rest of the day!!! But was that meal beneficial to you? I doubt it as there are no nutrients in what you’ve eaten to nourish your body. You don’t feel full of life, ready to get up and go do you? When we heat food above the human body temperature of 37 ‘, it changes. This heated food effects our health much more than natural, living foods. When we eat cooked food there is an immune system response as if we were poisoned. The number of white blood cells rises by about 300%. White blood cells are produced to fight off threats, like poison, trauma or disease. This reaction to eating cooked food is called Digestive Leukocytosis and only occurrs after eating cooked food. It is not seen when food is eaten in its natural, uncooked and unprocessed state. Another way in which our bodies respond to eating cooked food is by producing mucus. This mucus makes a protective wall between the food and our bodies. Food enzymes are active in uncooked food but once food is heated to above 105′, enzymes are also destroyed. Enzymes are the life force in food – they help us digest food, and run our bodies. Raw food contains its own digestive enzymes and breaks itself down and goes where it is needed. A child is born with an inherited amount of enzyme potential. If we eat cooked food the pancreas has to use its own digestive enzymes and it is thought that by the age of 40 a person only has 30% of his digestive enzyme production left! Declining enzyme resources are associated with aging. According to the theories of natural hygiene, poisons that accumulate in the body originate form either the inner (metabolic waste, emotional, mental or physical stresses) or outer (unnatural refined, processed food, chemical additives, drugs and environmental pollution especially air and water) environments. This toxic overload causes poisonous waste accumulation because the body has to deal with poisonous biproducts of cooked food on a daily basis and rarely has the energy to excrete all of it. The body then stores the toxins where they will do least harm such as fatty subcutaneous tissues. Toxins also accumulate in the weakest organ and lead to disease. Cooked food also changes our pH. It makes us acidic, when we are meant to be alkaline. The pH level of our bodily fluids affect every cell in our bodies. We only thrive when our bodies are in an alkaline state. When our bodyis in an acidic state, we experience many health problems. Acidity causes stiffness and tissue degeneration. Alkalinity does the opposite, our bodies can release tension and stress, and our blood and lymph can flow more easily. Vitamins are also destroyed by cooking. So after years of eating cooked food, our immune system wears out. We become run down, and illness becomes a normal part of life. We interpret this as the inevitable signs of ageing. Sounds like doom and gloom doesn’t it? However, when we eat raw foods, our immune system is given the chance to rest and recover. People who switch to eating only raw foods always experience the same thing. Lifelong problems, conditions and diseases go away, usually within weeks or months. People eating raw foods have reported reversals of cancers, diabetes, heart disease, MS, CFS, arthritis, depression, skin disease, etc. The amazing power of raw food!!! Our immune system is capable of healing anything, if it’s not continually engaged in a war against cooked food. Our bodies treat cooked food as poison. Skin – becomes softer and clearer, with less wrinkles of blemishes and soft. It really glows! There are countless books on the subject and I have only touched on a few areas, and I don’t profess to understand all the science stuff behind this. All I know is how much better I feel eating a raw diet, and I can only suggest you give it a go for yourselves and see how it makes you feel. First hand experience is by far the most convincing I think!